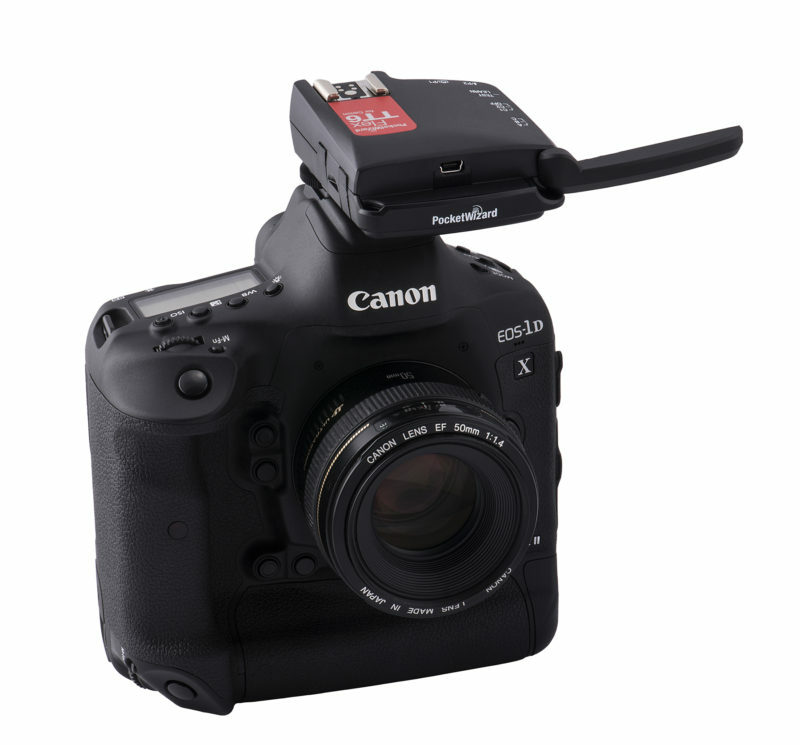 American radio maker PocketWizard have announced two new wireless triggers. 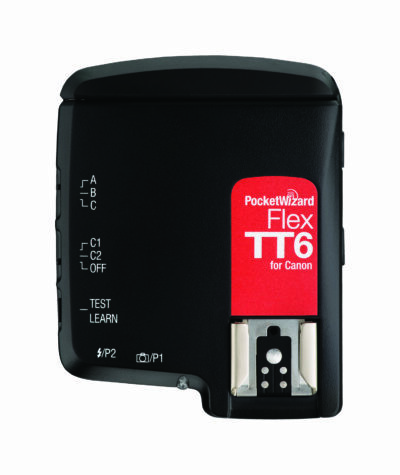 The FlexTT6 for Canon is an updated version of the company’s E-TTL flash transceiver, whilst the MultiMax II is a high-end manual trigger aimed at professional photographers. What’s new in the PocketWizard FlexTT6? Not a lot, actually: it has the same design as the FlexTT5 but offers greater support for newer Canon EOS DSLRs including the 5D Mark IV, 1D X Mark II, 80D, 77D, T7i (800D) and T6 (1300D). The FlexTT6 is compatible with PocketWizard’s past and present radios including the FlexTT5, MiniTT1, Plus IV and MultiMAX. There is no word on a FlexTT6 for Nikon or whether one is even needed for the newest Nikon DSLRs. 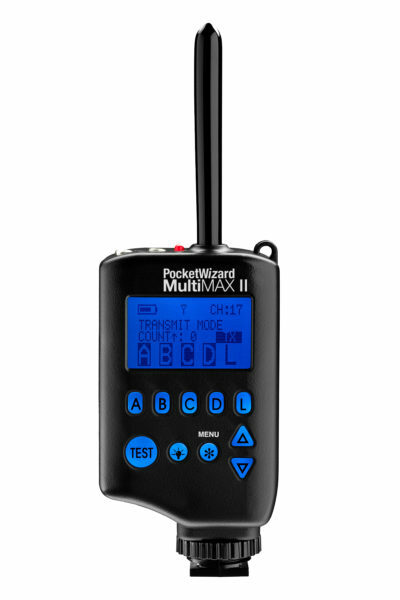 The PocketWizard MultiMAX II claims to be ‘the most reliable radio on the market’. It builds on the original MultiMAX, an advanced manual flash and camera trigger that has been marketed especially to sports photographers and others who need ‘interference-free’ triggering at crowded events. The MultiMAX II adds such features as a blue backlit LCD and buttons, an ‘infinite’ intervalometer (for time-lapse sequences) and an improved SpeedCycler mode, which lets you alternate between up to sixteen groups of flashes in rapid-fire shooting to allow flashes time to recycle. Another addition is remote manual power control of flashes connected to ControlTL receivers (such as the FlexTT6). There are 20 ControlTL channels and 32 standard ones. A video introducing the MultiMAX II has been published on YouTube. PocketWizards don’t use the universal 2.4GHz frequency band; their products come in 344 MHz versions products for North America and 433 MHz for Europe. The PocketWizard MultiMax II and FlexTT6 for Canon are available now in the US and Canada. The CE version of the MultiMAX II is scheduled for shipment to international distributors “around the first week of September”. For more information, visit the PocketWizard web site.